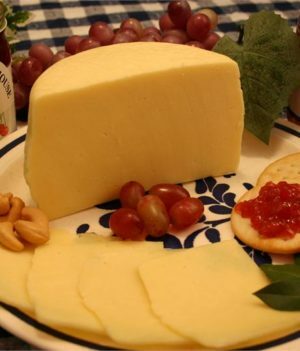 Colby cheese is a semi-hard cow’s milk cheese native to the United States. 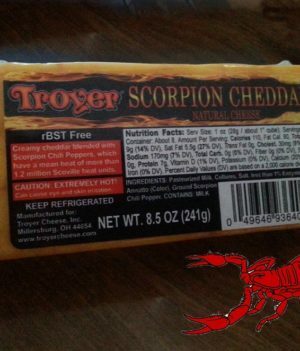 But today Colby cheese is made in other regions of the world as well. 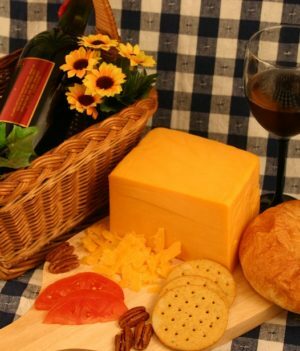 It is often compared to cheddar cheese, since the two both typically appear orange or creamy yellow. But two cheeses taste very different. 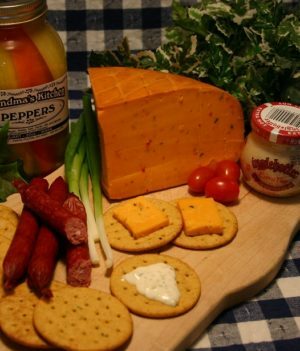 The flavor of Colby cheese is much more mild and creamy. Washing the curds reduces the acid content, making Colby cheese less tangy when it is finished. 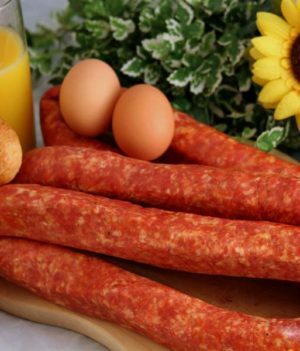 Colby also has a higher moisture content, and it tends to be much softer than cheddar. 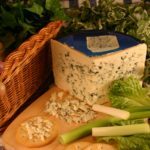 Colby cheese also goes well with rye bread, apples, and pears. 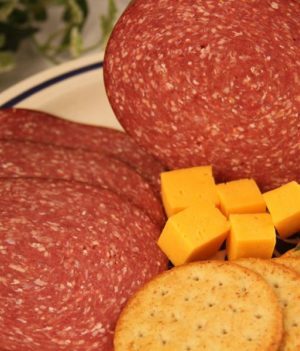 Some people like to use Colby as a table cheese, and the gentle flavor and texture also perform well in grilled sandwiches. 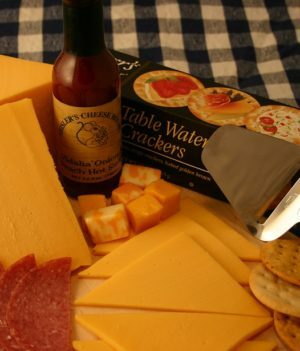 Colby cheese is also sometimes blended with other cheeses, such as Monterrey Jack, to make Cojack cheese. 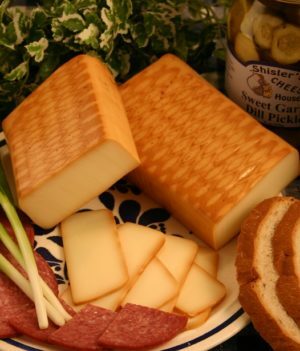 Colby cheese was developed in the late 19th century by Joseph Steinwand, the son of a Wisconsin cheese maker. 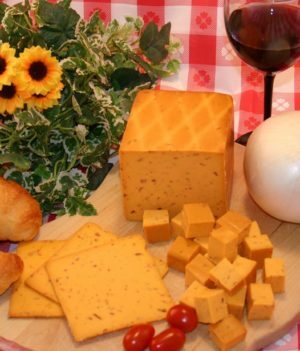 Steinwand named the cheese for the town in which the family had built their first dairy, and Colby, Wisconsin continues to celebrate Colby cheese today. 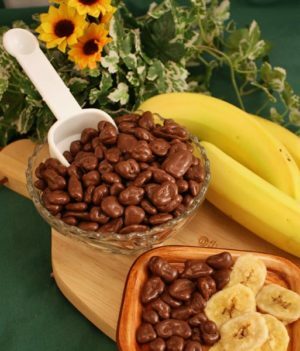 As Wisconsin cheese caught the public eye, Colby also became very popular. 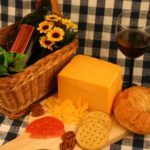 Colby cheese is considered to be one of the first truly American cheeses, as it was developed by an American in the United States, and was not intended to be an imitation of any European cheese. 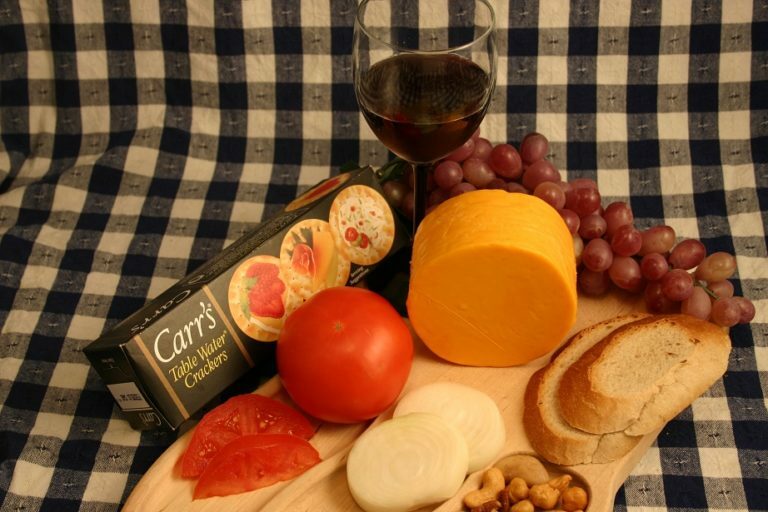 The smooth flavor of Colby cheese pairs well with Zinfandel, Syrah, and Shiraz wines. 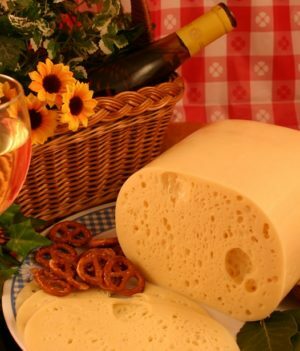 White wine lovers can enjoy Riesling with their Colby cheese.